Björk has been sharing lovely whimsical clips for Utopia cuts like "The Gate" and the record's title track, but her latest visual offering is a little more, uh, bodily oriented. 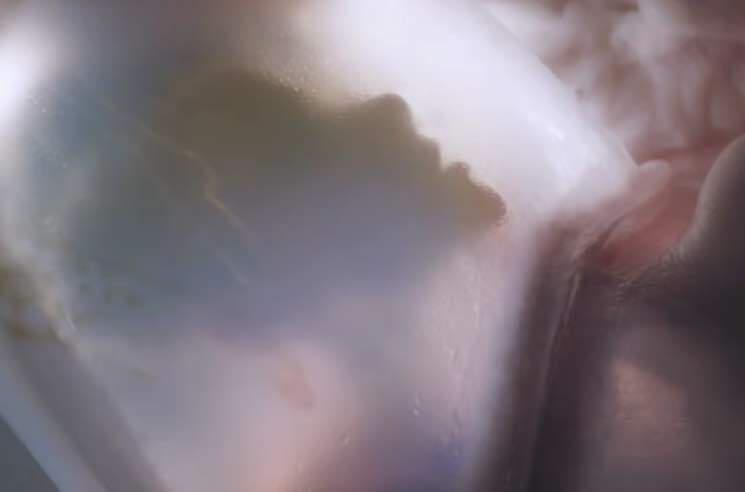 The video for "Arisen My Senses" was created by Björk and Arca's frequent Canadian-born collaborator Jesse Kanda, and it features a narrative about Björk's rebirth. We see the singer emerging from a womb, before entering a fantasy world as a fiery, feathered, winged creature. Watch the artfully disturbing video for "Arisen My Senses," and see some behind-the-scenes set photographs here via WeTransfer.